Is involved in about 30%, and is the initial site in 15% of AIDS-related KS. In the mouth, the hard palate is most frequently affected, followed by the gums. Lesions in the mouth may be easily damaged by chewing and bleed or suffer secondary infection, and even interfere with eating or speaking. Despite its name, in general it is not considered a true sarcoma, which is a tumor arising from mesenchymal tissue. KS, in fact, arises as a cancer of lymphatic endothelium and forms vascular channels that fill with blood cells, giving the tumor its characteristic bruise-like appearance. KSHV proteins are uniformly detected in KS cancer cells. KS lesions contain tumor cells with a characteristic abnormal elongated shape, called spindle cells. The tumor is highly vascular, containing abnormally dense and irregular blood vessels, which leak red blood cells into the surrounding tissue and give the tumor its dark color. Inflammation around the tumor may produce swelling and pain. Although KS may be suspected from the appearance of lesions and the patient’s risk factors, definite diagnosis can be made only by biopsy and microscopic examination, which will show the presence of spindle cells. Detection of the KSHV protein LANA in tumor cells confirms the diagnosis. In Europe and North America, KSHV is transmitted through saliva. Thus, kissing is a theoretical risk factor for transmission, although transmission between heterosexuals appears to be rare. Higher rates of transmission among gay and bisexual men has been attributed to “deep kissing” sexual partners with KSHV. Another alternative theory suggests that use of saliva as a sexual lubricant might be a major mode for transmission. Prudent advice is to use commercial lubricants when needed and avoid deep kissing with partners with KSHV infection or whose status is unknown. Blood tests to detect antibodies against KSHV have been developed and can be used to determine whether a patient is at risk for transmitting infection to their sexual partner, or whether an organ is infected prior to transplantation. However, these tests are not available except as research tools, and, thus, there is little screening for persons at risk for becoming infected with KSHV, such as transplant patients. Kaposi’s sarcoma is not curable (in the usual sense of the word) but it can often be effectively palliated for many years and this is the aim of treatment. In KS associated with immunodeficiency or immunosuppression, treating the cause of the immune system dysfunction can slow or stop the progression of KS. In 40% or more of patients with AIDS-associated Kaposi’s sarcoma, the Kaposi lesions will shrink upon first starting highly active antiretroviral therapy (HAART). However, in a certain percentage of such patients, Kaposi’s sarcoma may again grow after a number of years on HAART, especially if HIV is not completely suppressed. 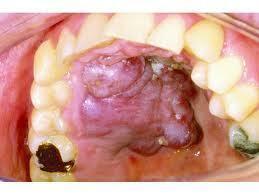 Patients with a few local lesions can often be treated with local measures such as radiation therapy or cryosurgery. In general, surgery is not recommended, as Kaposi’s sarcoma can appear in wound edges. In general, more widespread disease, or disease affecting internal organs, is treated with systemic therapy with interferon alpha, liposomal anthracyclines (such as Doxil) or paclitaxel. With the decrease in the death rate among AIDS patients receiving new treatments in the 1990s, the incidence and severity of epidemic KS also decreased. However, the number of patients living with AIDS is increasing substantially in the United States, and it is possible that the number of patients with AIDS-associated Kaposi’s sarcoma will again rise as these patients live longer with HIV infection. The disease is named after Moritz Kaposi (1837–1902), a Hungarian dermatologist who first described the symptoms in 1872. Research over the next century suggested that KS, like some other forms of cancer, might be caused by a virus or genetic factors, but no definite cause was found.